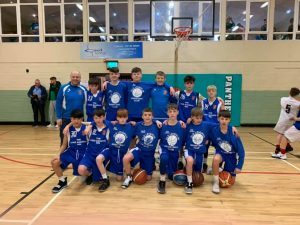 A TEAM of Old Leighlin basketball players will be taking on the best from across the country at this weekend’s All-Ireland basketball club championships. The club’s U14 side will represent the South East division at the national competition which takes place in Gormanston, Co Meath. The boys have qualified for the All Ireland by beating national league clubs including Waterford Vikings and Portlaoise Panters in some thrilling games during the season. They played in the South East and Midlands leagues this year finishing second in Midlands and getting to the Midlands Cup final, losing out to Portlaoise. The South East league and cup competitions will be wrapped up after this weekend’s All-Ireland where Old Leighlin will play Killester, St Mary’s and Donegal Town in the group stages.